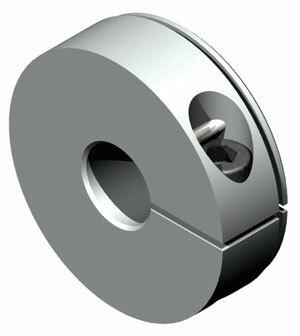 The frictional shaft/hub connections of the radial clamping hubs and conical bushings found on GAM couplings do NOT require keyways for zero backlash torque transmission. Keyways are not recommended by GAM as they can actually introduce backlash into machine systems overtime. While not recommended, they can still be machined into the couplings upon request. 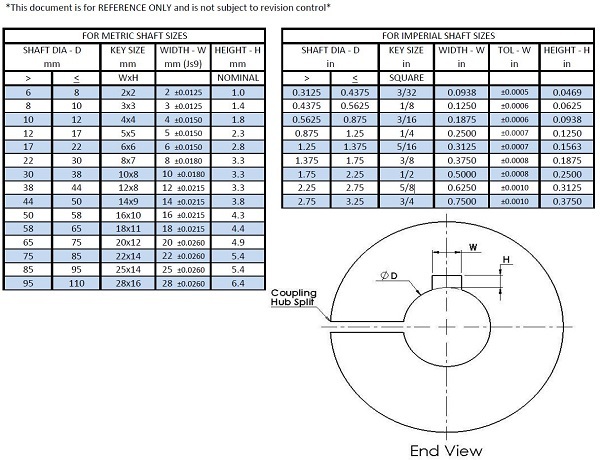 Below is a .PDF link and a list of the standard keyway dimensions provided if requested. If other keyways are required, a shaft end detail drawing that shows the keyway dimensions must be provided to GAM. Have a question on other products? Let us know.